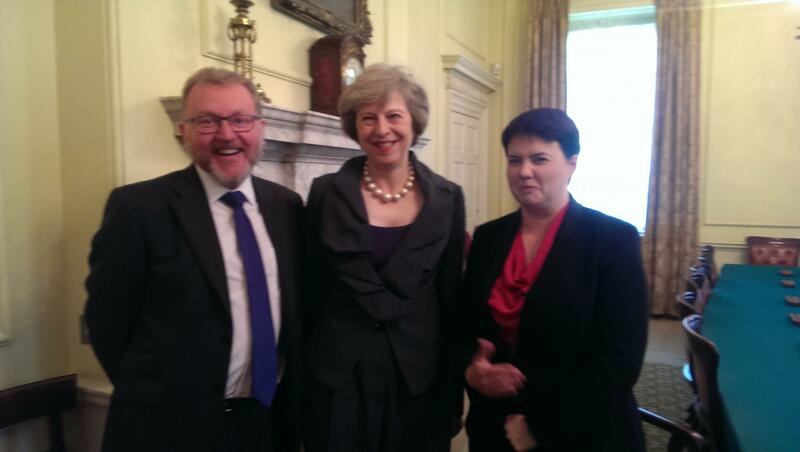 Ruth Davidson Has an epiphany – Scottish Tories to Back Independence in the event of a “Hard Brexit” !!!! In the months following the outcome of the European Union referendum Ruth Davidson and her Tory party colleagues in Scotland have been significantly reticent about getting involved in the political scene in Scotland. It appears to be the case that many MSP’s and Party activists in Scotland are maintaining a low profile until a decision on the form “Brexit” is to take is decided. A “hard Brexit” might well trigger a rebellion in Scotland with the Scottish Tories giving their backing to a referendum on Scottish independence, preferring to promote their policies in a Scotland free from Westminster. The party membership and leaders in Scotland are well aware Scotland and its needs are not given a high priority by Westminster and the natives are becoming restless. The content of this article provides evidence it will not require a deal of pushing of the party membership before their tolerance of Westminster politics ends in the withdrawal of the party in Scotland from their UK controllers. But the plan also drew criticism from some high-profile Conservatives and opposition politicians and prompted Glasgow MSP Ruth Davidson to confirm she would contest the leadership and defend the present Scottish party. Davidson, who grew up in Fife, is considered his biggest rival in the leadership contest and has the backing of David Cameron. “I am proud to be a Scottish Conservative and Unionist. This is a destabilising distraction” she said. “It is a feature of our times that people no longer give unquestioning, deferential support to political constructions in the way they once did. It is right that those of us who are elected to positions of responsibility and who support these political institutions should be put on our mettle to defend them. Whether it is the United Kingdom or the European Union or whatever – if we believe sincerely that they are in the best interests of our country and our people, we should make the case for them with clarity and honesty. 21 June 2016: Scottish Conservative leader Ruth Davidson will declare independence from her UK party if Boris Johnson becomes its leader. Some at Westminster are predicting a coup in the aftermath of Thursday’s EU referendum. The prospect of Johnson replacing Cameron as Prime Minister is caused such concern in the Scottish top team that going solo, in a move mirroring Murdo Fraser’s failed leadership campaign tactic, is now seen as a viable option. Supporters of Mr Fraser’s plan argued that forming a new party would be the “next logical step” for her, whether Johnson entering Downing Street or some other factor was the catalyst. 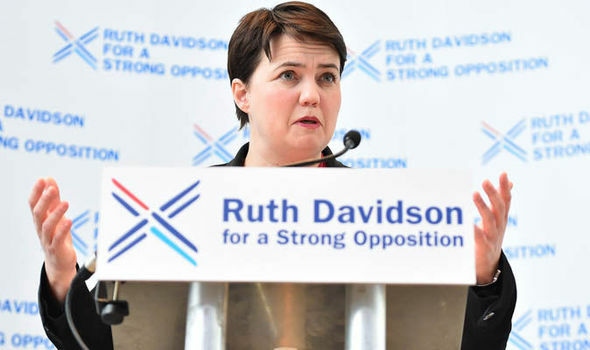 Party insiders said she had distanced the Scottish party from the UK Tories in several key policy areas and they campaigned in the recent Holyrood election under the banner “Ruth Davidson for a strong opposition” rather than the Conservative name. Davidson recently savaged Johnson arguing a Leave Vote would be “a conscious decision to make Britain poorer” which “would hurt the poorest the most”. 30 June 2016: Willie Rennie believes support for independence is at ‘a record high’. 12 July 2016: Ruth Davidson, leader of the Scottish Conservatives, increases the pressure on Theresa May to tell the three million EU nationals living in the UK that they can remain after Brexit. 1. 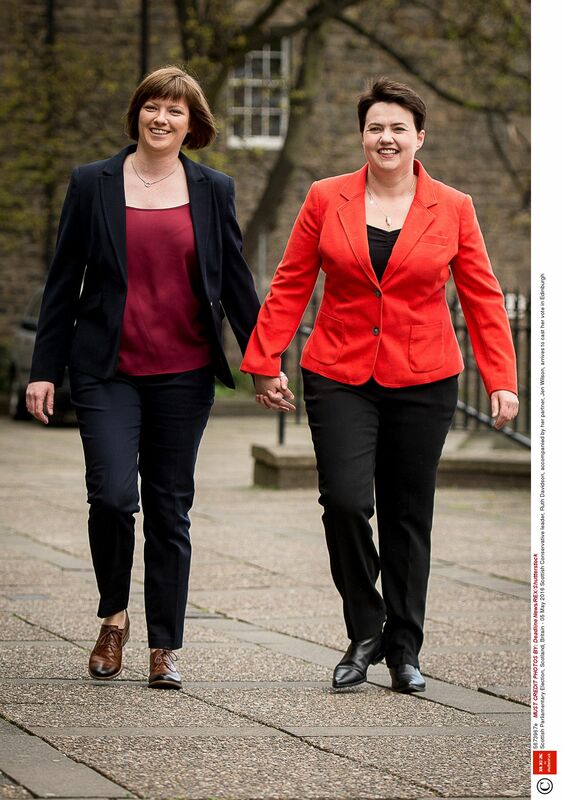 Ruth reflected first on the prospects for the Tory party at Holyrood elections. She calculated that under existing devolution there would never be another government of Scotland that involved her Party. Unlike in Wales, there seemed no prospect of the Conservative Party going into coalition with any of the other parties in the Scottish Parliament. Thus on the big devolved domestic policy issues facing Scotland (education, health, social justice), it would be unlikely in the immediate future that Conservative ideas would ever have any influence. If you are in politics because you want to represent your constituents and occasionally influence a minority government’s policies, then this may not be a problem. If you are in politics because you want to be in power, the present arrangements are deeply unsatisfactory. 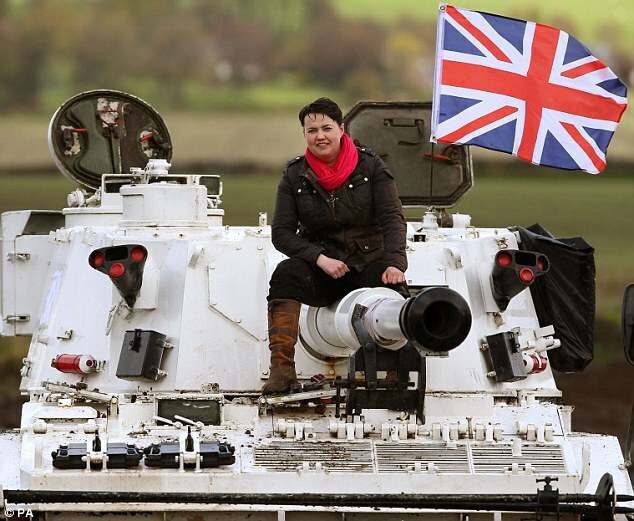 If Ruth cannot envisage an improving situation, then she might be tempted to opt for more radical change. Her other option is simply to join the SNP. 2. Ruth also formed the view that winning a Tory majority at the 2015 UK general election was a hollow victory without significant gains in Scotland. She is tired of arguments about legitimacy and what she sees as the Scottish Government’s tendency to blame Westminster for problems. Increasingly, she thinks that the UK without a truly statewide Tory Party is difficult to defend. Ruth began to consider whether it was worth the effort. 3. 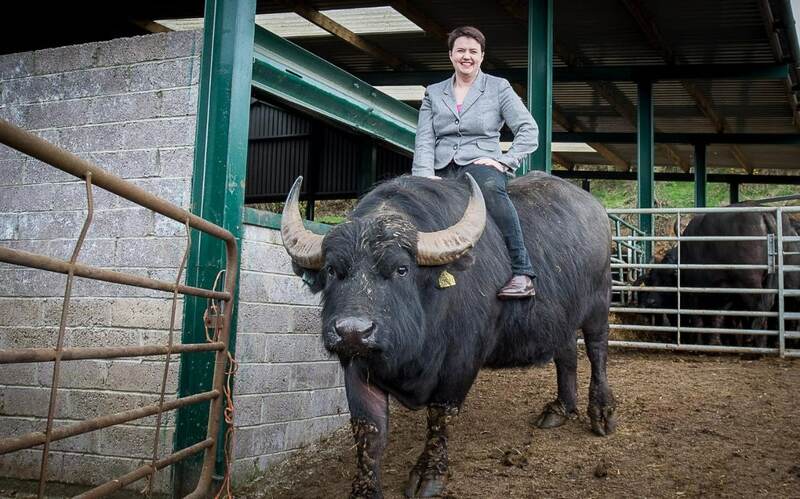 Having reflected on the prospects for the Tory’s, Ruth turned to the best way to see centre-right policies in Scotland. She thought that the best way to reduce the size of the Scottish state in the long term was to make it responsible for the taxes it spent. She saw no better way of imposing fiscal discipline and an incentive to think about productivity in public services. The buck would once and for all stop in Edinburgh. She calculated that the UK government would not devolve the extent of powers necessary to have a sensible debate in Scotland about the proper role of the state and the market. But, after independence, the link between money raised in Scotland and money spent in Scotland would no longer be blurred. At a stroke, politicians could only raise spending if they taxed, borrowed or grew the economy. As a Tory, this is ground on which she felt comfortable debating. 4. Lastly, Ruth speculated about the party system in an independent Scotland. The centre-right would stand the chance of breaking free from the past and reinventing itself. In particular, removing the centre-periphery cleavage from Scottish politics would encourage members of other parties (particularly the SNP) to consider joining a new party of the centre-right because their main goal has been achieved. In any event, Ruth concluded that, politically, things could hardly get any worse in Scotland for people holding her ideological views. With independence there would be at least the prospect of a shake-up of a party system dominated by two parties (broadly) of the centre-left. Tories in Scotland are separated in part by an assessment of whether the political possibilities for the centre-right within the British state are still attractive. Is the price being paid for very limited influence or power at Westminster worth it? A UK Tory majority with no increase in Tory MPs from Scotland places the Scottish Tories once again in an awkward position. Faced with steady decline or (perhaps) steady recovery, it is not irrational for a Tory to consider more radical options. The Original article (modified for the purpose of the article) was written by:Alan Convery: Lecturer in Politics in the School of Social and Political Science at the University of Edinburgh. Author caltonjockPosted on September 29, 2016 September 29, 2016 Categories UncategorizedLeave a comment on Ruth Davidson Has an epiphany – Scottish Tories to Back Independence in the event of a “Hard Brexit” !!! !